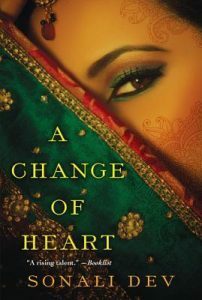 Last year I read The Rearranged Life by Annika Sharma, which is an incredible New Adult Romance by the way, and it opened up my mind to the Indian culture in a different way. So when I went to the RT Booklovers Convention this spring, I saw the cover for A Change of Heart and knew that I had to make it mine. Little did I know that this book would have me in tears sitting in Starbucks. What I love most about this novel is the attachment you get to the characters. You start reading and all you want to know is more about these people. There are tragedies and hard decisions both characters have to make in the midst of the positive things. Life goes on and they must go on with it, carrying their broken spirits behind them. The best part is watching them fall in love with one another. It isn’t instant or easy but you’re rooting for them the whole time. Dev was able to pull me in with the emotion, the delicious descriptions of food, and amazing characters. This is her third novel but it has inspired me to go find her first two novels, just so I can experience something new and beautiful all over again.